Brian Toung is an experienced and accomplished litigator. He is one of only a handful of personal injury attorneys in Florida who are Board Certified Trial Lawyers. Brian is also a member of the Million Dollar Advocating Forum by virtue of his recovery of millions of dollars in settlements and verdicts for his injured clients. Brian’s reputation as a committed and skilled trial attorney benefits his clients in negotiations with insurance companies because they are always aware he is prepared to proceed to trial. In Brian’s Daytona Beach, FL, criminal defense practice, he has represented clients in a wide range of misdemeanor and felony criminal matters, including felony cases and numerous jury trials. His reputation as an effective civil litigator is matched only by his reputation as a devoted advocate in criminal litigation. Brian is a private pilot, certified aircraft instructor, and a member of the Aircraft Owners Association and the Lawyer Pilots Bar Association. He has extensive knowledge and experience with aviation accidents and defective airplane parts cases. 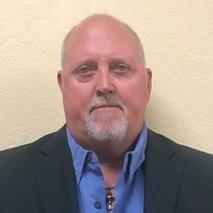 Brian has a Masters’ Degree in Aviation Safety from Embry Riddle Aeronautical University. Brian is also an avid motorcycle rider. His first-hand experience with motorcycling and knowledge of motorcycle traffic laws allow him to provide exceptional representation for clients injured in motorcycle accidents.